What's in the name: ultrafine bubbles or nano bubbles? Option for marine grade steel. The RF600 Self-cleaning Intake Strainer combines industrial strength filtration with exceptionally low maintenance. The RF600 series are self-cleaning coarse screened strainers for attachment to the suction hose of surface mounted pumps. 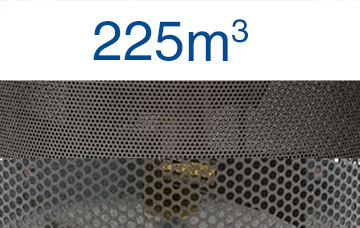 The range can deliver from 1500 litres per minute to a maximum of up to 4,500 litres per minute (90 m3/ hr -275 m3/ hr). 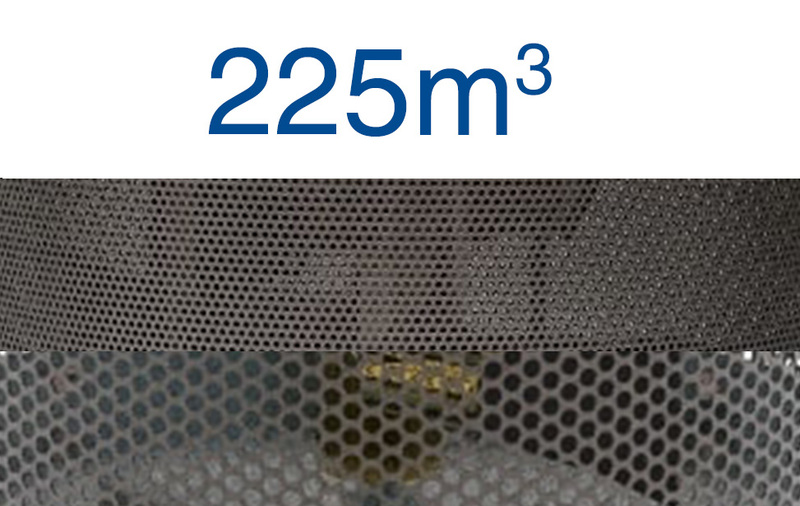 The strainers are all stainless steel construction and the perforated stainless steel filter screen aperture sizes are 3mm and 6mm as standard. These are very strong mechanical filters built to last. The self-cleaning filters use a proportion of your pump’s output to supply a feed to an internal backwashing rotor. They are powered by taking a ‘T’ off the already filtered pump output to supply the internal rotors. The cleaning rotors continuously backwash the mesh screen blowing away anything that might cause it to block. All our filters and strainers use the same patented technology, providing efficient self-cleaning backwash to keep their filter mesh clear. These filters operate at source in very dirty water, reducing the need for settlement tanks or expensive inline filter systems. There are five models of RF600 self-cleaning intake strainer offering a broad range of capacity. They are used in many industries for all kinds of dirty water filtration. acniti is specialized in the sales and marketing of ultrafine bubble and nanobubble technology, to accelerate growth. Bubble technology is the next revolution in water and liquids to change their properties by dissolving gases to enhance biological processes, to innovate cleaning and disinfection in a wide range of applications.